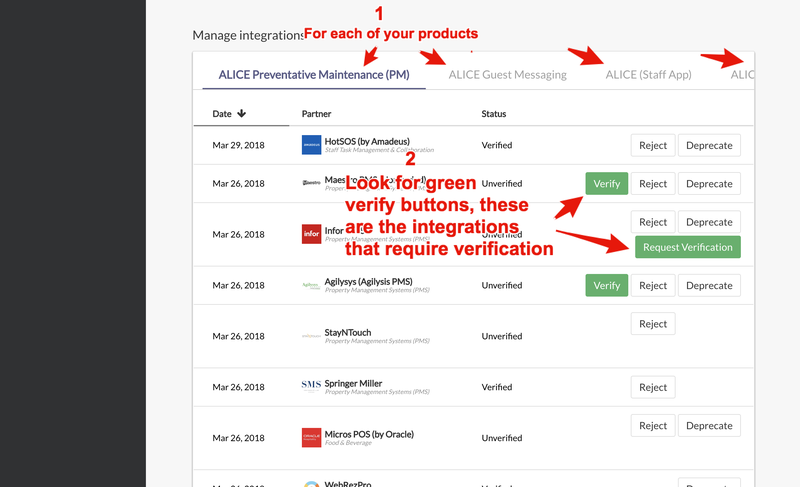 Verifying your integrations takes a few clicks and ensures that hoteliers can easily find your products based on their existing systems. 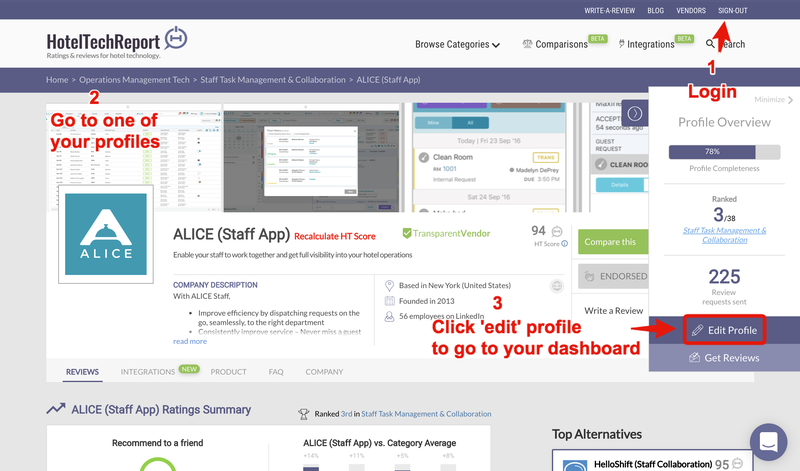 Step 1: Login to Hotel Tech Report and go to your vendor dashboard. 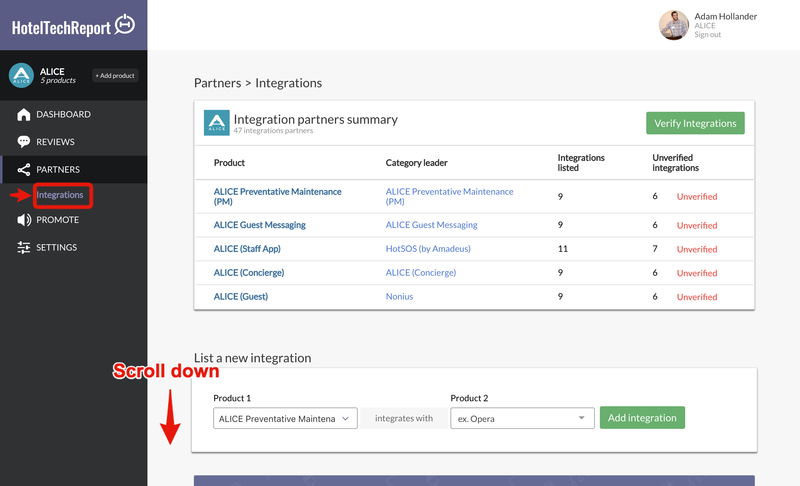 Reach out anytime via the 24/7 live chat on site or read more about the integrations search engine and the most integrated companies live leaderboard.